Online real estate training with Justin Razmus. 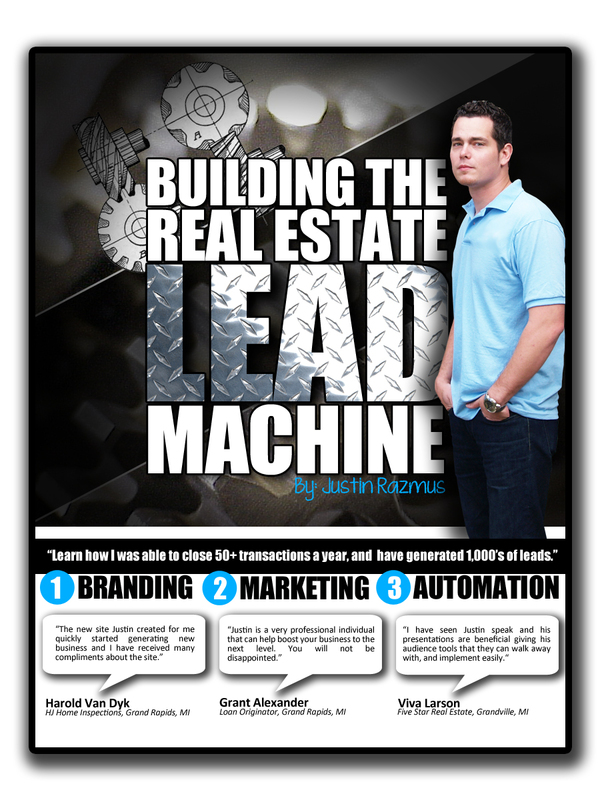 Building the Real Estate Lead Machine, an online coaching and training class. Starts: Monday, July 30th 2012. Training material will be emailed to you every weekday for four weeks. This is an online class and coaching. Each day for four weeks you will get daily instructions on what the next step is. If you are looking for someone to tell exactly what to do to start bringing in a lot of real estate leads, then this is for you. If you have any questions during the training I will personally answer them. You get my personal email address so I can directly answer any questions you have the entire duration of this course. I will teach you how I generate thousands of real estate leads from the Internet. Each day I give you a new activity to work on. By the end of the four weeks of coaching you will have built your own lead machine. Every step is explained in detail, no technical knowledge or programming skills are needed. 100% money back guarantee if requested before the course is complete. This course is designed with one thing in mind. Teaching you how to generate a lot of leads. I’ll be there every step of the way to answer your questions and help you along. Each weekday for four weeks you will receive an email with instructions to follow. The emails contain everything you need to do to have your lead machine built in four weeks. And if you have a question, just reply to the email and it will go straight to me. This class will pay for itself. If you want to get more leads you should sign up. Not only is the content very useful, you also have me there to help you out and answer all of your questions. I have spoken on this subject at many different seminars and always have people come up and thank me for the good information. This is the first time I am releasing it in a written format. This is also the ONLY class I will be doing this year where you can contact me directly any time you want with your questions. I rarely do this because my schedule is very full, but it’s extremely important to me that every person that enrolls has great success with it.